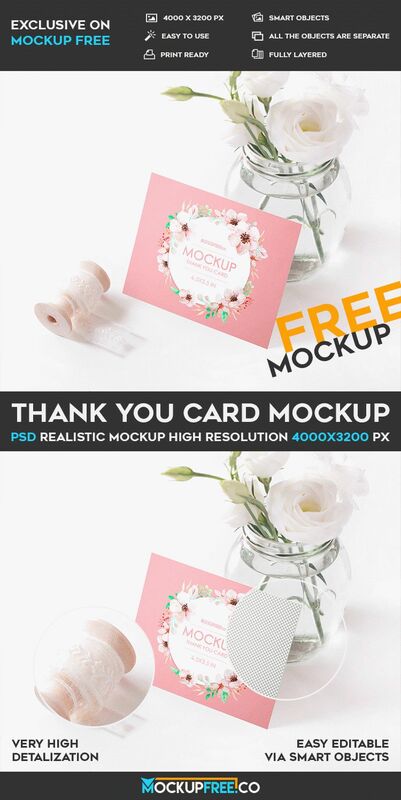 We have prepared for you this beautiful and tender Free PSD Mockup – Thank You Card. You can download it absolutely free for you promotions and professional advertisement. Use Photoshop for any editions you wish. Download and enjoy!